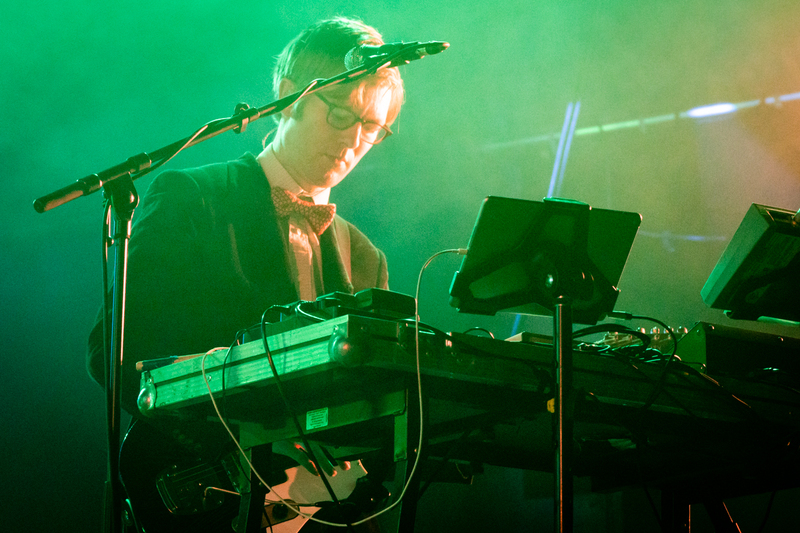 Public Service Broadcasting live at The Hall By The Sea, Dreamland, Margate. 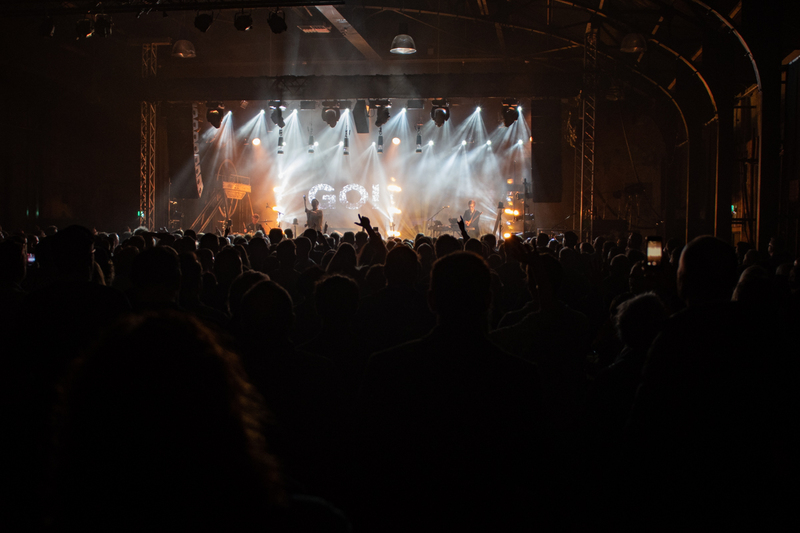 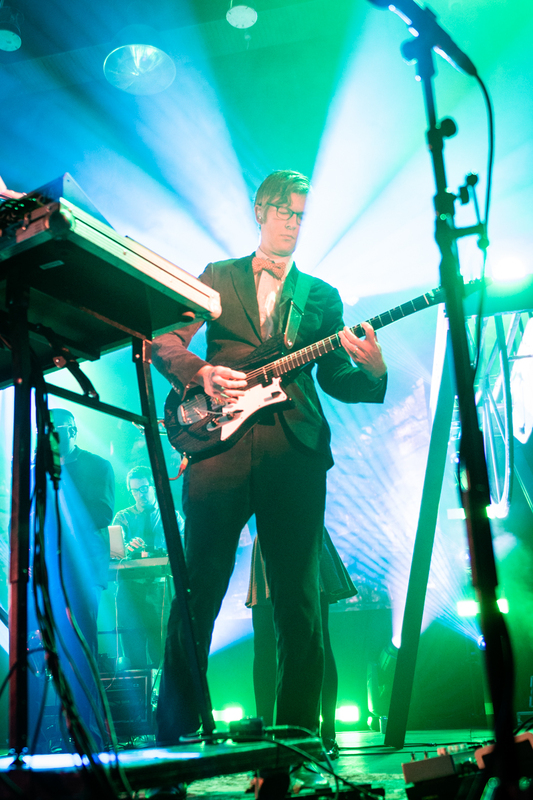 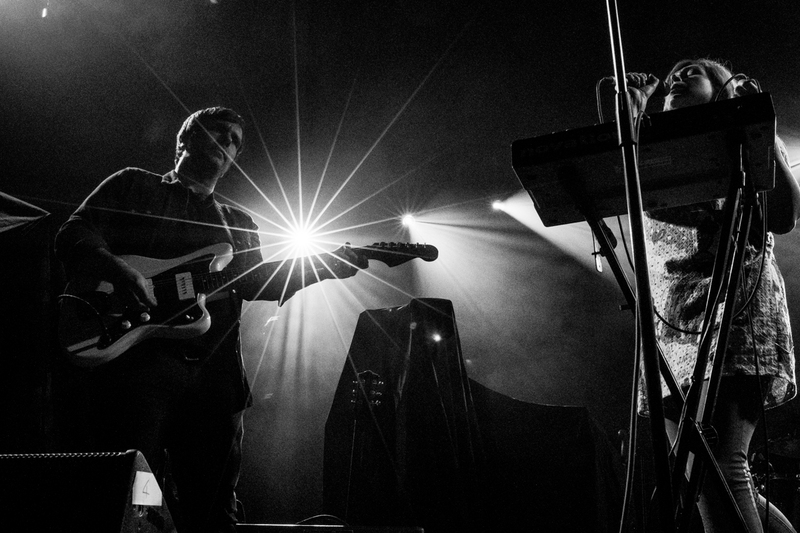 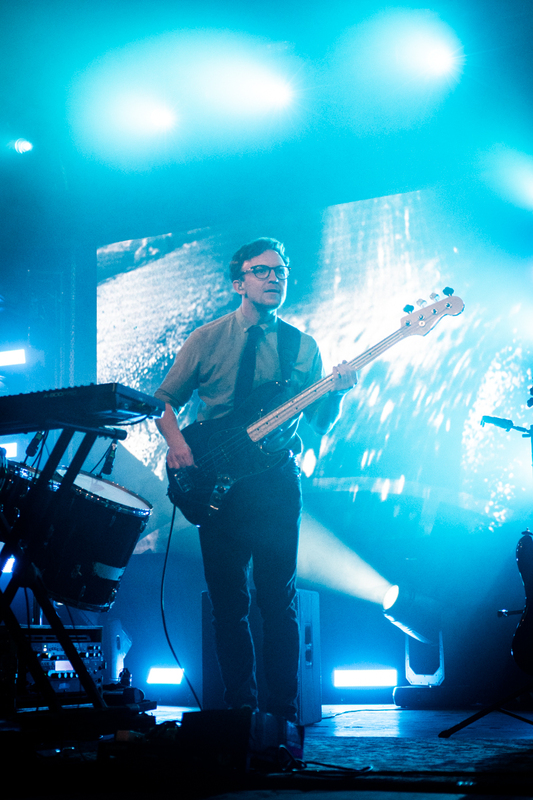 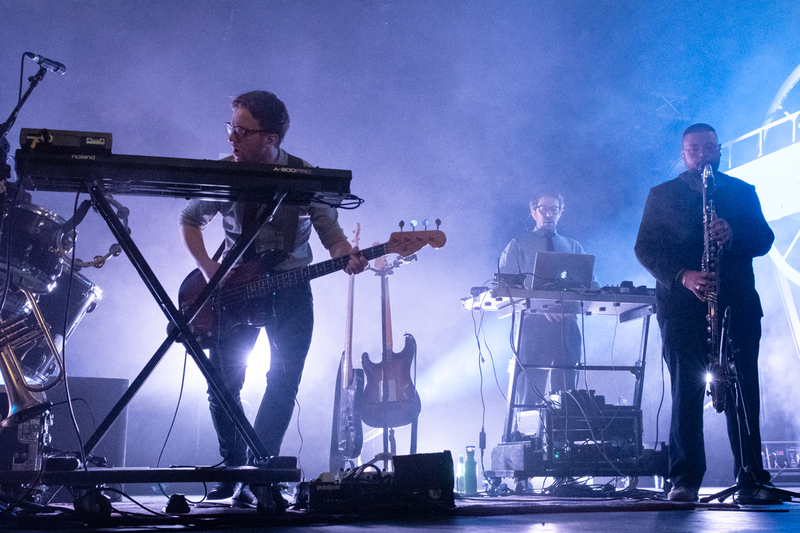 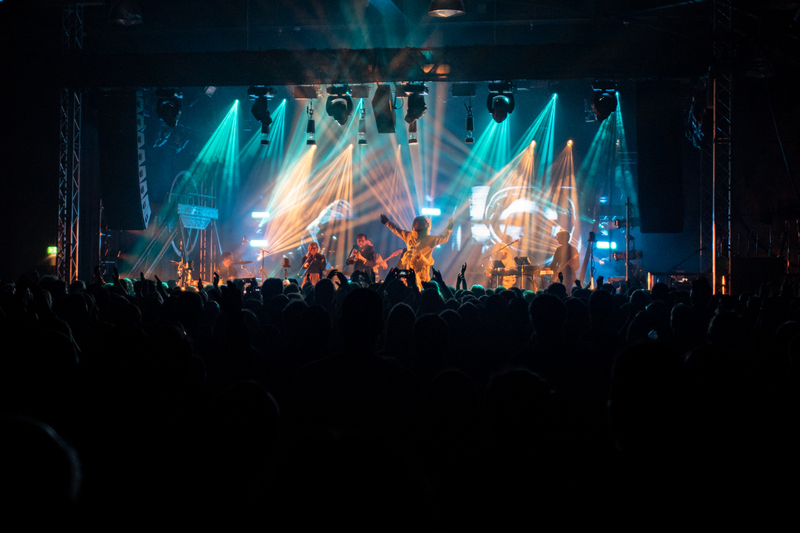 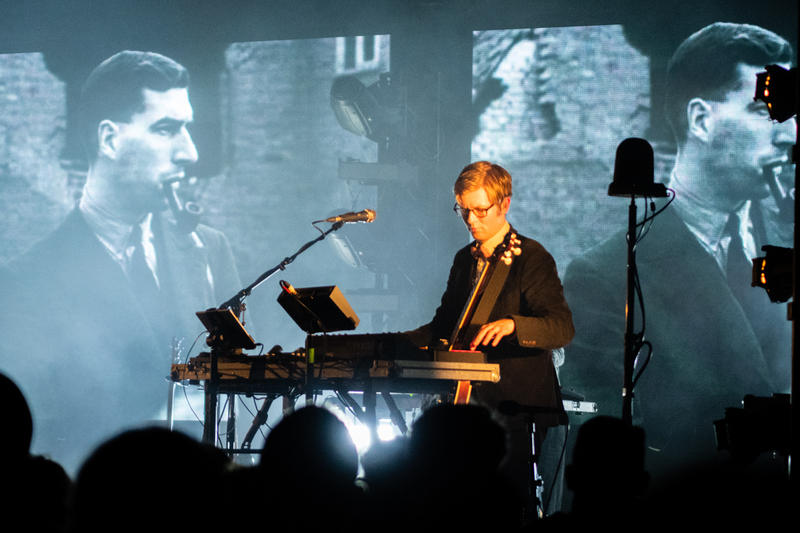 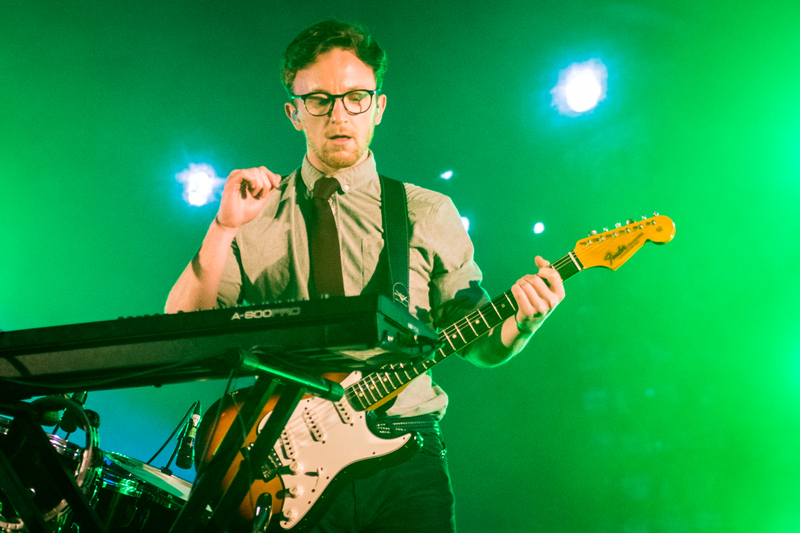 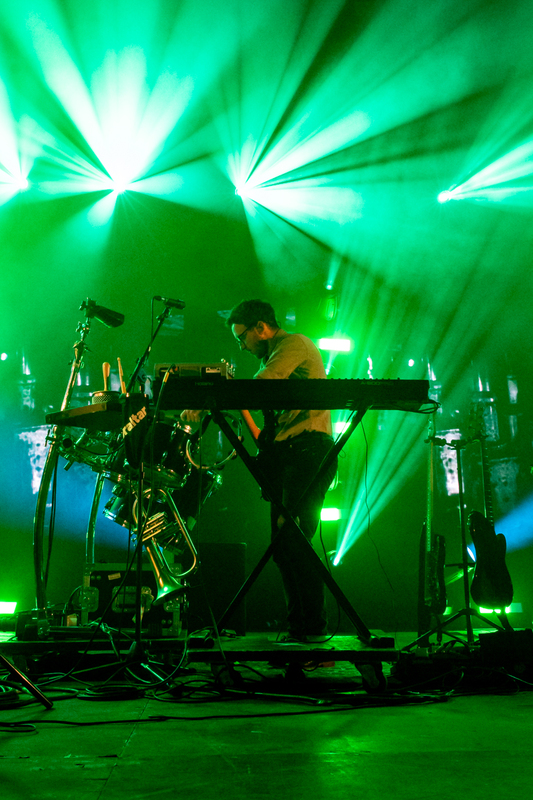 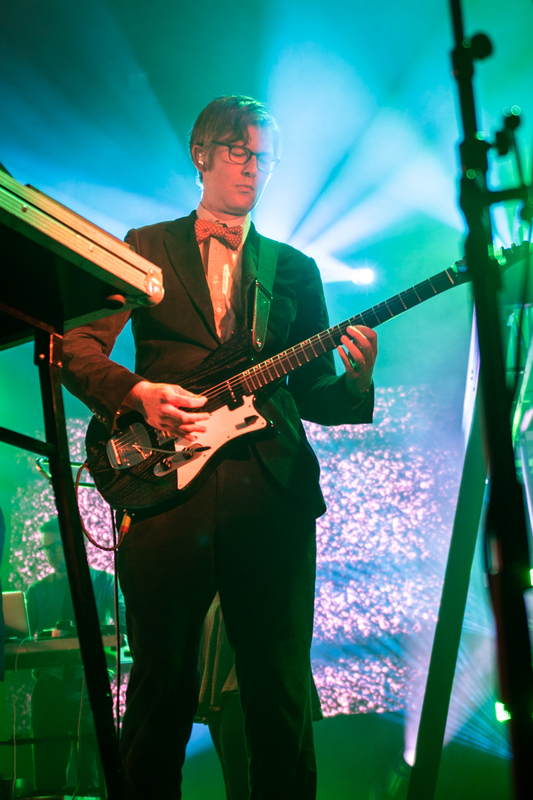 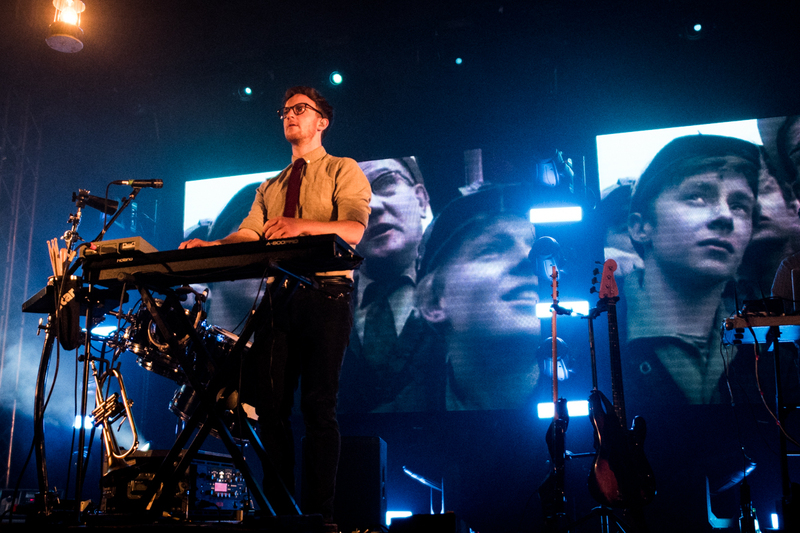 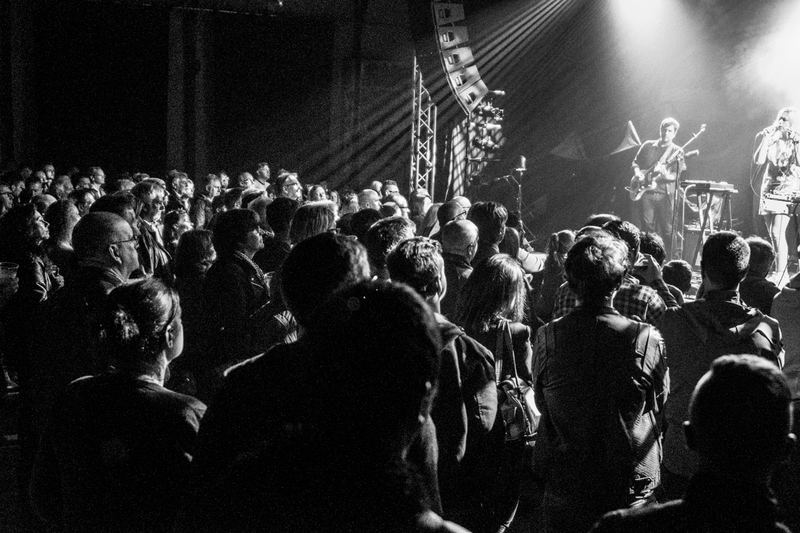 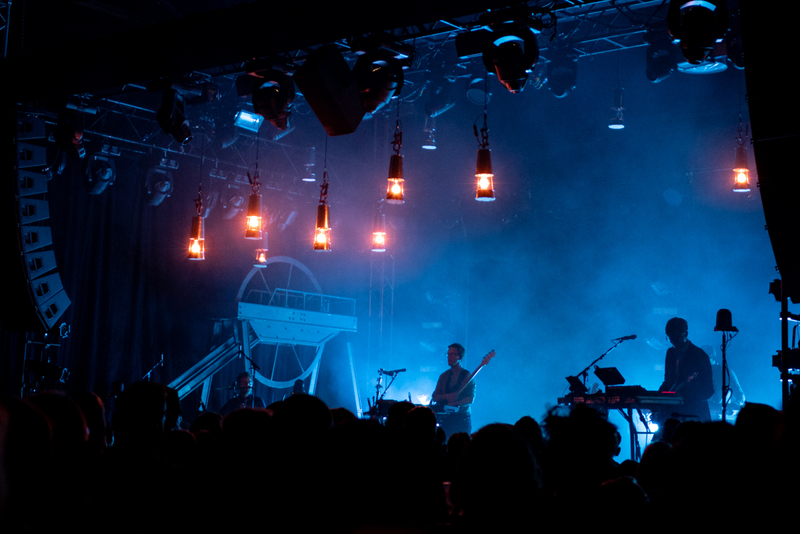 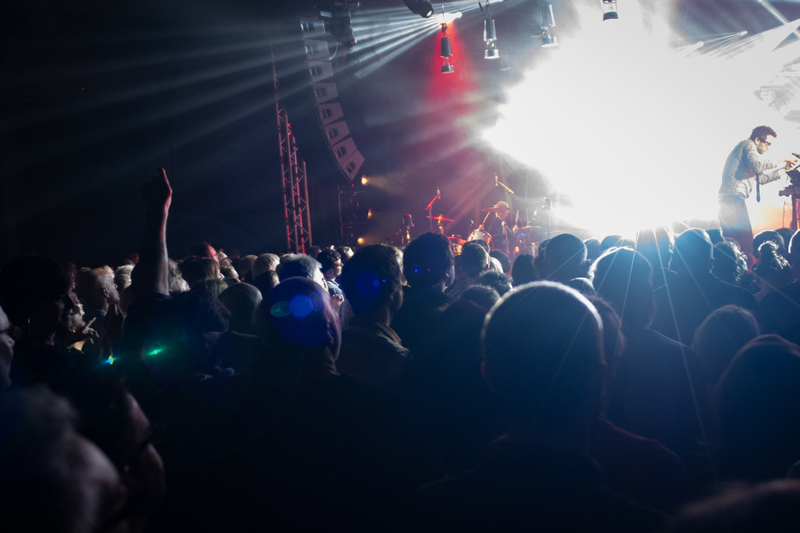 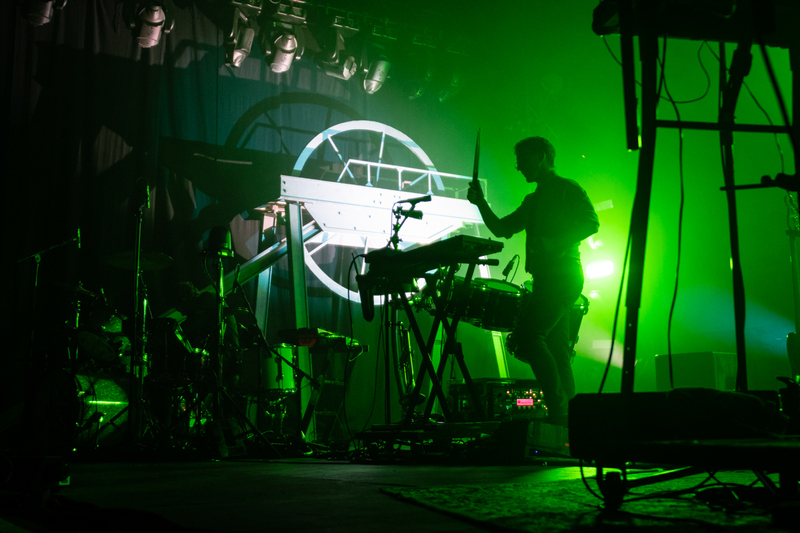 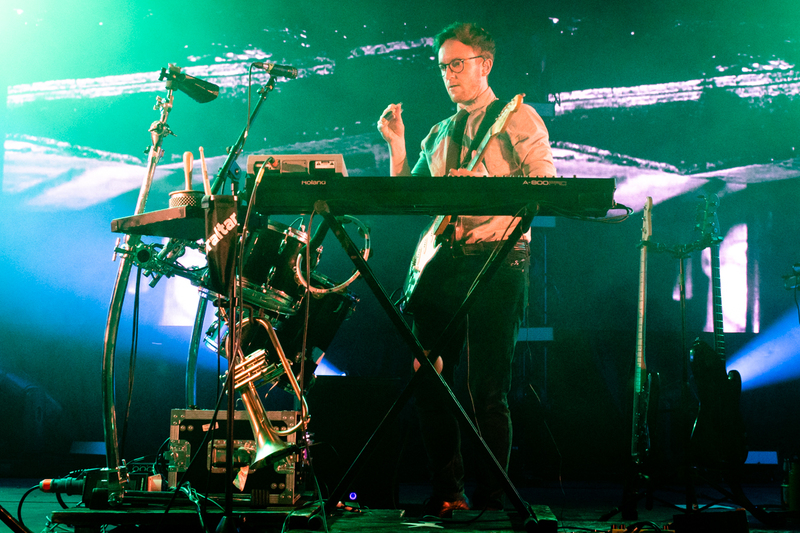 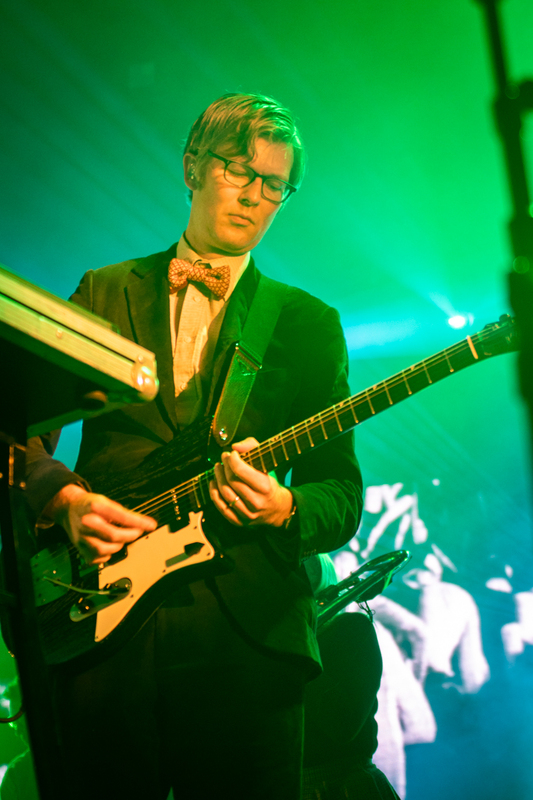 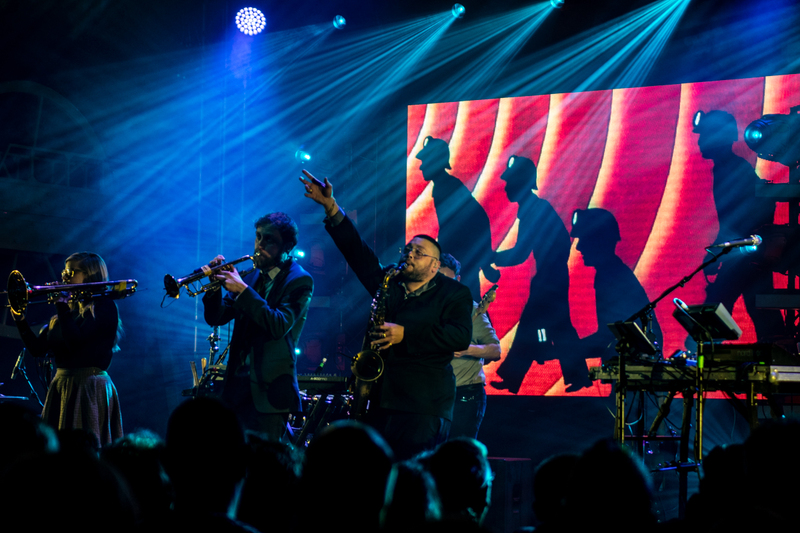 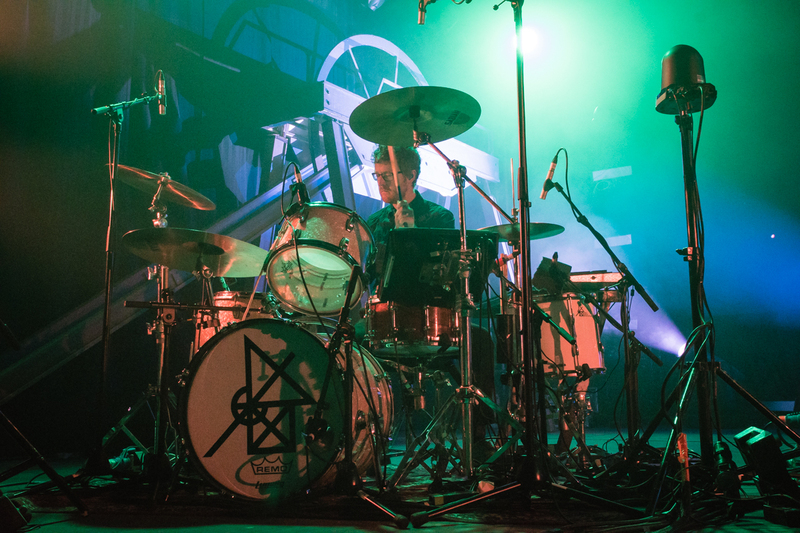 Our intrepid photographer broke away from his family holiday at the seaside town of Margate to photograph the extraordinary Public Service Broadcasting. 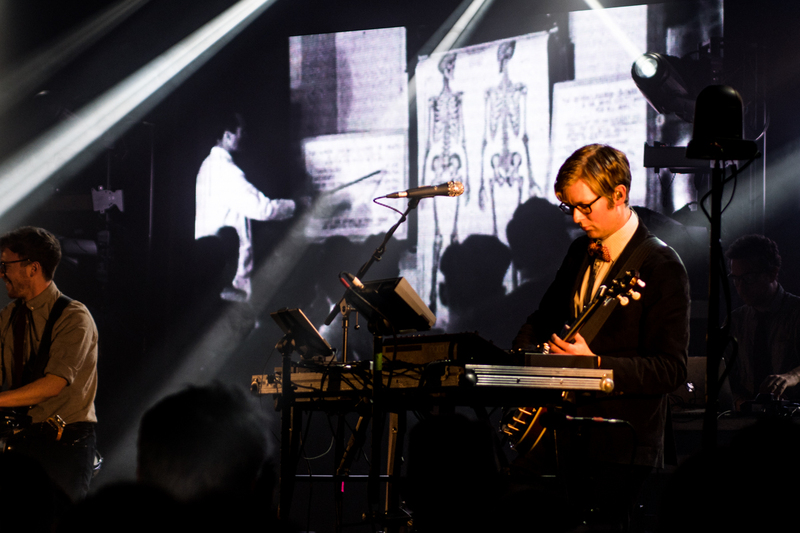 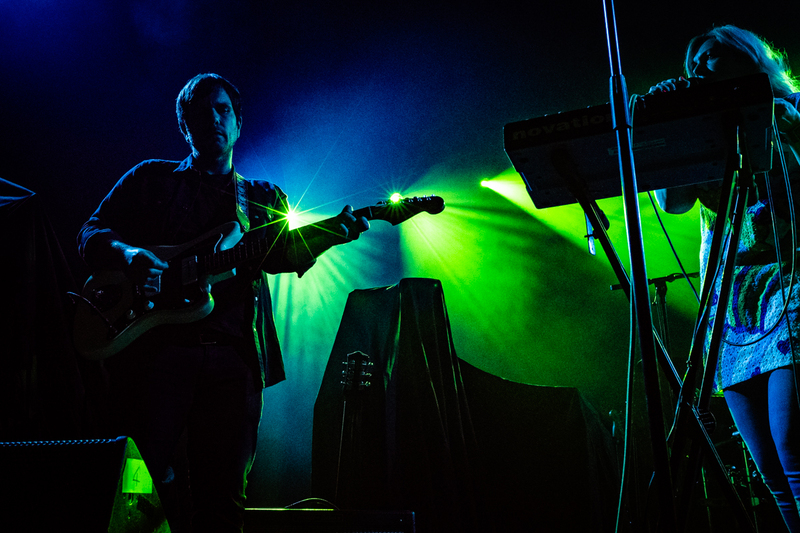 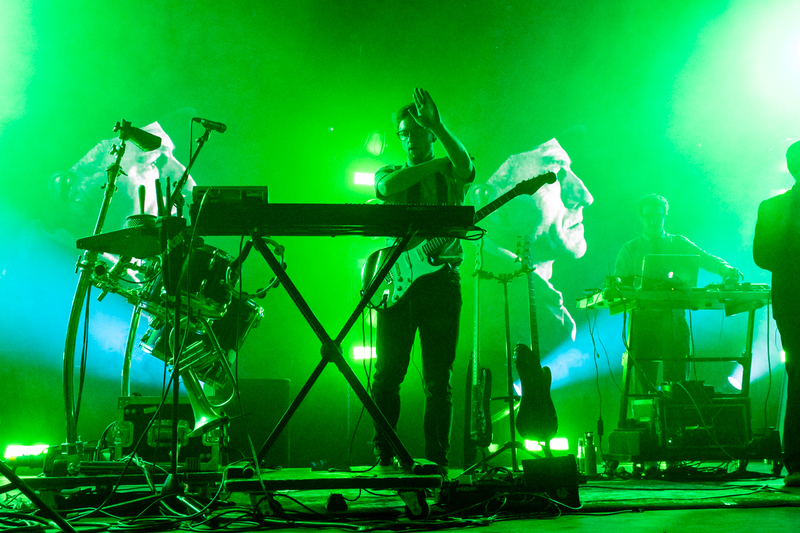 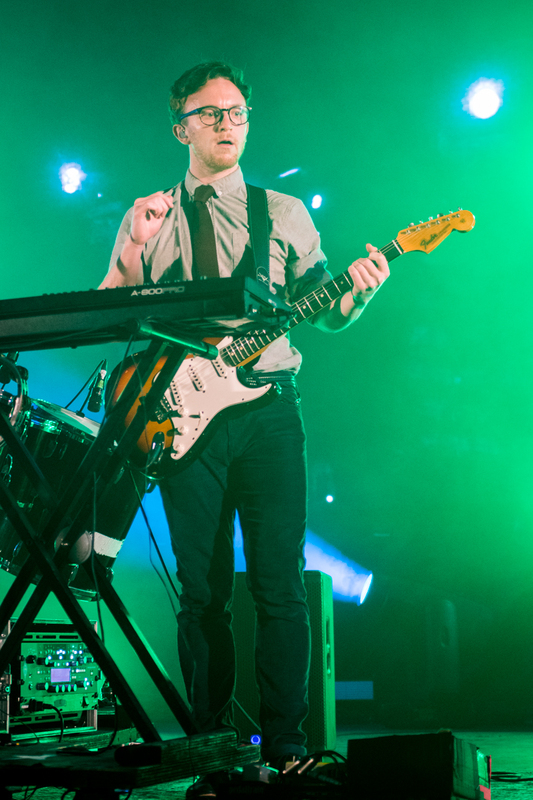 The band brought their unique live AV transmission to Kent where they took the audience on a journey back in time down the mineshafts of the South Wales valleys with their new album, Every Valley. 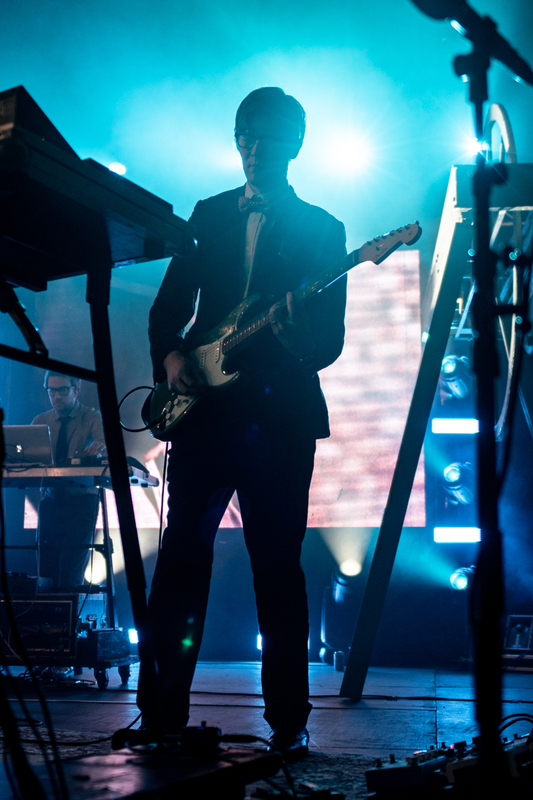 Musical lessons and samples from the past also included crowd favourites, “Go” and “Spitfire”. 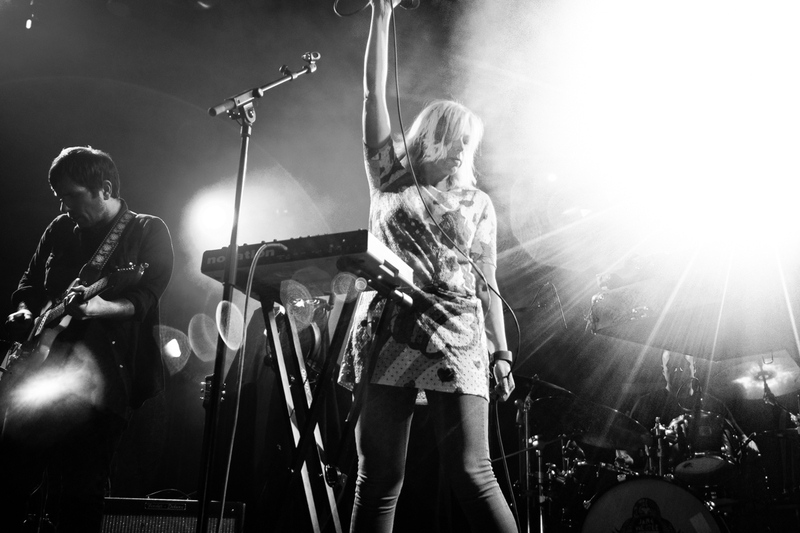 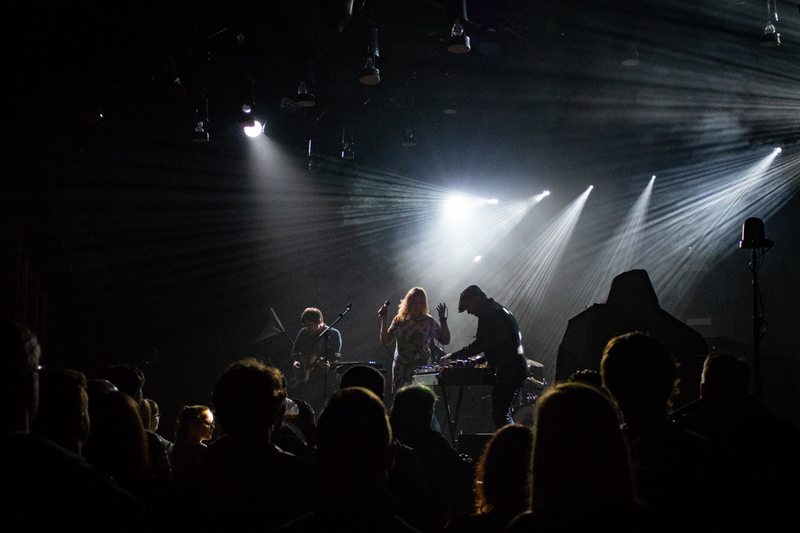 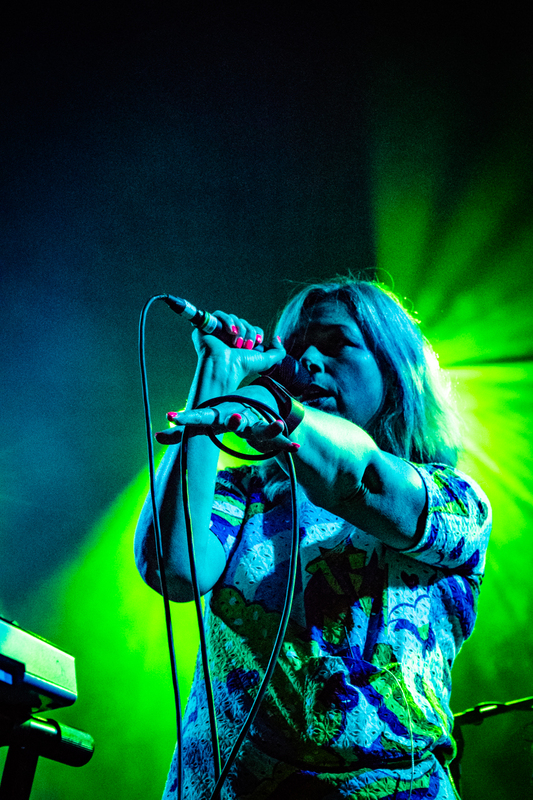 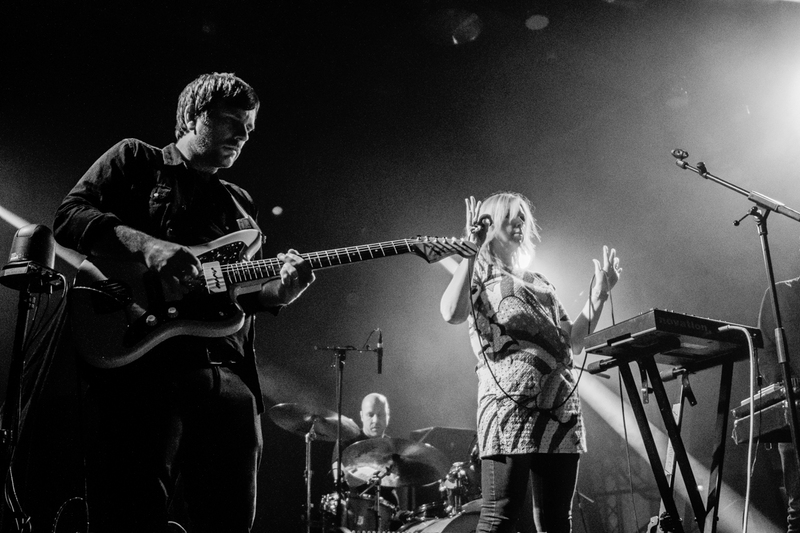 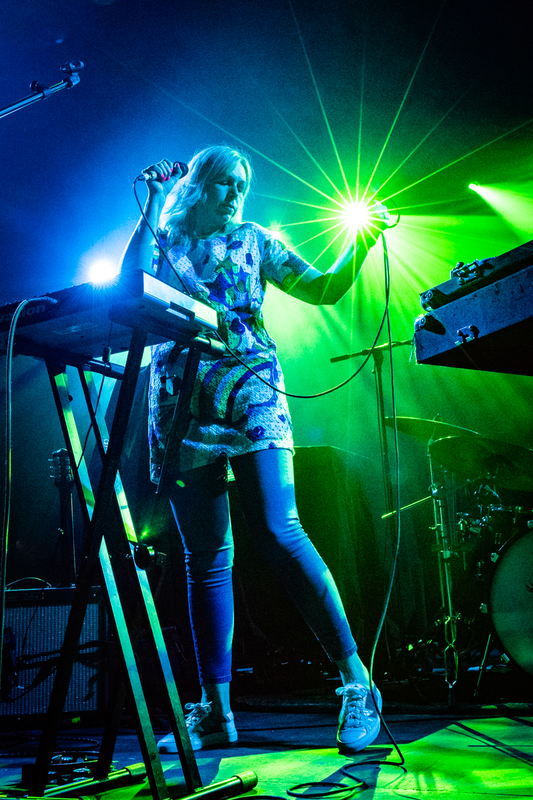 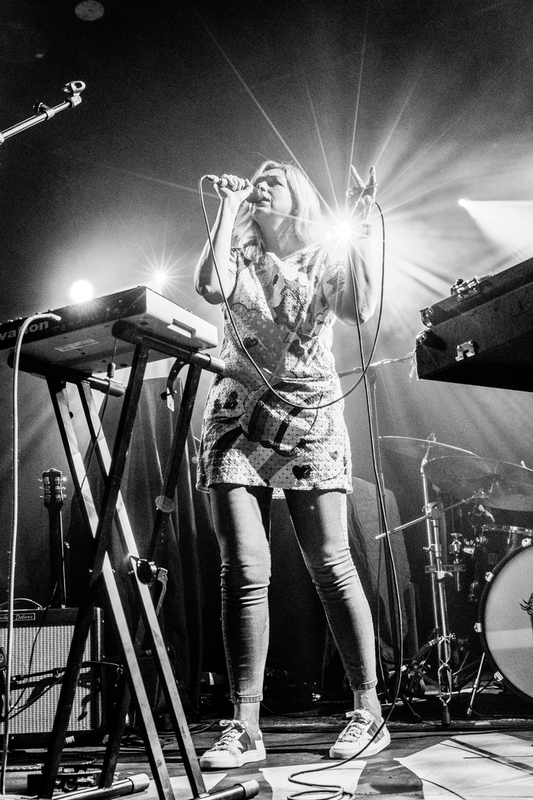 Support was from indie-electro-pop Northern lass, Jane Weaver still basking in the success of last year’s album Modern Kosmology, and her latest single.